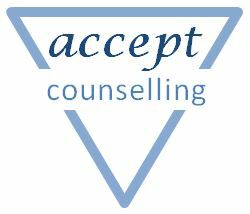 How do I know if my counsellor is right for me? In my experience, the most important element in counselling is whether my client can trust me enough to tell me what is bothering them. For some clients, they decide to trust me from the beginning, for others it takes time to develop. The first counselling session is all about me finding out what my client wants to work through and setting out how I do counselling. It may be that the client has an issue that I do not specialise in, or that the client doesn’t like the room that I’m in (or me). After the first session I will always ask my client if they want to go away and have a think about whether they want to work with me. I would also tell them if I couldn’t help them, and try to recommend someone who could. Whether we decide to work together or not, this clear communication provides the building blocks for establishing trust between us. I have helped others by allowing them time and space to explore their difficulties in a safe, quiet space. Counselling involves me inviting you to explain what is going on for you, listening carefully and sometimes offering a different perspective.